The UNM Gastroenterology and Hepatology Fellowship Program provides education and mentorship in both clinical practice and research. Read more. Applications are accepted only through the"Electronic Residency Application Service (ERAS). 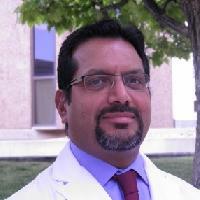 The Division of Gastroenterology and Hepatology is dedicated to excellence in clinical care, research, and education. 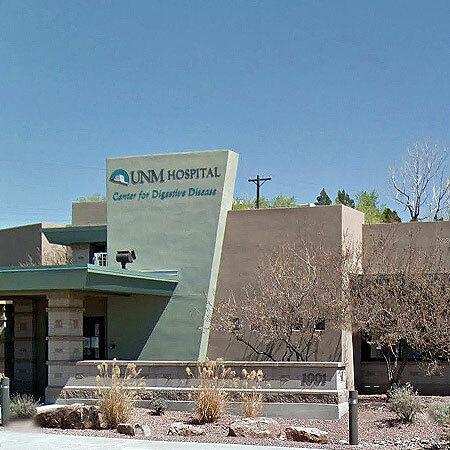 We deliver the highest quality care in gastroenterology and hepatology to New Mexicans, make new scientific discoveries through cutting-edge research, and provide superb educational training for the next generation of clinicians and scientists. The UNM Division of Gastroenterology and Hepatology is a world-class academic center for the study and treatment of digestive diseases. The faculty members of the Division are superbly trained academic clinicians and scientists, recognized nationally and internationally as leaders in their respective fields. Our Division faculty specialize in a wide range of gastrointestinal diseases, including inflammatory bowel disease, irritable bowel syndrome, liver diseases, liver transplant, motility disorders, pancreatic and biliary diseases, colon cancer, esophageal and gastric diseases, small intestinal disease, and diarrheal malabsorptive disorders. Faculty members have expertise in all diagnostic and therapeutic GI procedures, including colonoscopy, upper endoscopy, capsule (pill camera) endoscopy, pancreas and biliary endoscopy including endoscopic ultrasound and ERCP, liver biopsy and esophageal and anorectal manometry. The Division's UNMH Center for Digestive Disease is a 12,000 sq. ft. state-of-the-art facility for digestive diseases care. Our faculty members are committed to providing the highest quality clinical care, making novel scientific discoveries that improve quality of life, and training future clinicians and researchers who will lead the development of innovative therapies in digestive diseases.